A new bill introduced in the State Assembly would grant businesses affected by the (N/W) line subway station renovations in Astoria a tax credit for revenue losses inflicted by the closures. The tax credit would apply to all businesses affected by state or local transportation infrastructure projects, said State Assemblymember Aravella Simotas. Simotas publicly announced the bill near the foot of the 30th Avenue (N/W) station in front of a crowd of small business owners on Friday. The tax credit would be available to any small business that can prove it suffered a loss of 25 percent or more of its revenue due to infrastructure projects. Small businesses are defined as companies that are independently owned and operated with 100 or fewer full-time employees. The 30th and 36th Avenue subway stations have been closed since October, which businesses in the area say has dramatically cut into their earnings. The Broadway and 39th Avenue (N/W) subway stations are also set to close for eight months starting this July. The subway closures have provoked controversy among area residents and legislators, who say that the MTA should have invested in service upgrades and accessibility improvements, such as new elevators, instead. Business owners also say that the MTA did not fully consider the impact of the project— which has taken up parking spaces and cut into foot traffic— on their stores. Simotas said that the bill is intended to alleviate some of this pain. Councilmember Costa Constantinides, who has chastised the MTA for neglecting small businesses, thanked Simotas for introducing the bill. 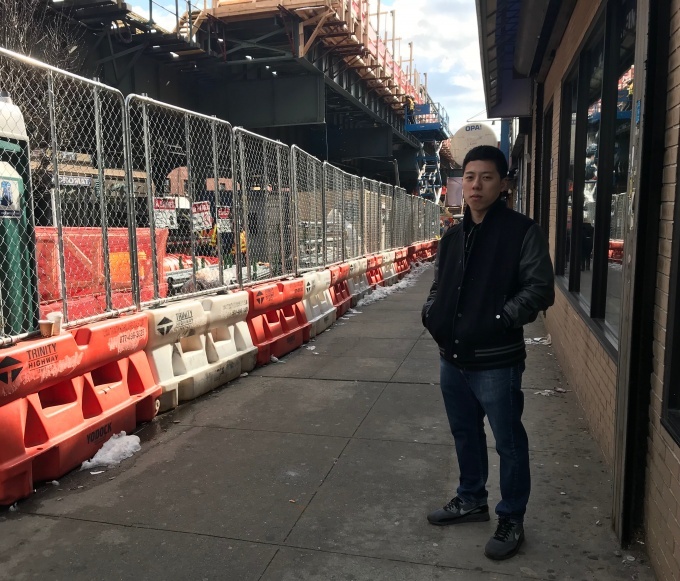 Jesse Tang, the owner of Japanese restaurant Pink Nori at 36-06 30th Ave, said that he hopes the tax credit will be helpful to the shops along the two train stops. “I think it’s great if the city can provide some tax relief to these business owners who really need it,” said Tang. Tang said that he has seen a significant dip in foot traffic since the 30th Avenue station closed. The situation is especially dire in the winter, he said, because customers are often reluctant to go out and walk. “Especially because it’s cold, people get off at the train station that’s open and they go right home, or go somewhere that’s close by,” said Tang.